(Verso, print) inscribed in pencil, at lower center, possibly by H.C. Peterson: "Irrigation Canal Kern County"; in pencil, at lower right corner: "952"
The first photographs Watkins made along the Kern River served as evidence in a water rights lawsuit that eventually resulted in a decisive court ruling that prevented newcomers from diverting water from existing landowners. James Ben Ali Haggin, the defendant and Watkins's client, had a series of irrigation canals that raised the price of land in Kern County. 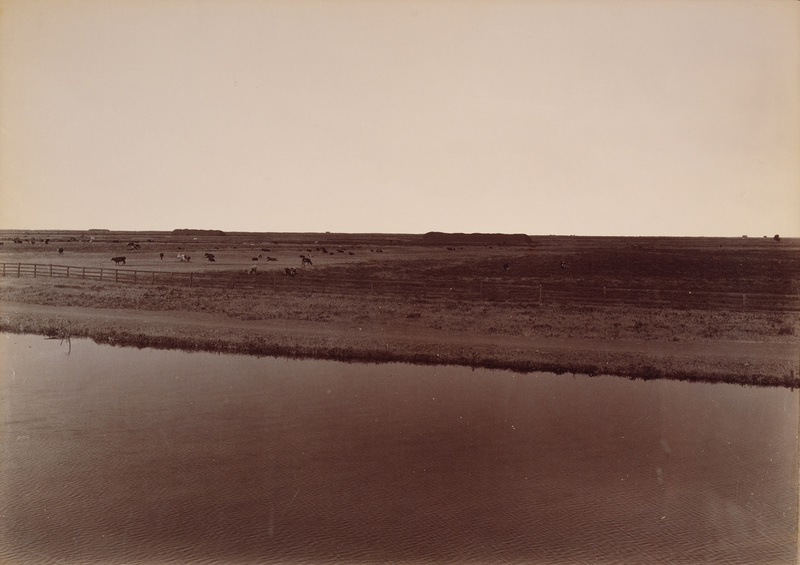 In this spare composition, made where present-day Poso Road crosses the Calloway Canal, Watkins devoted almost equal proportions to sky, land, and water.